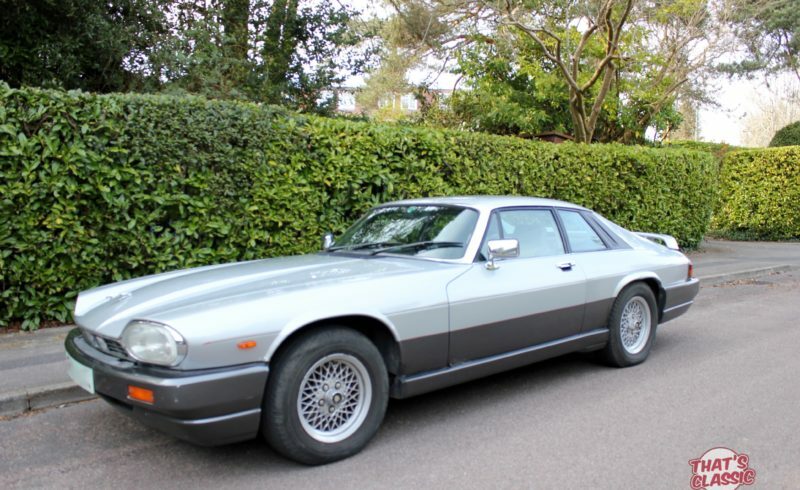 Here we have a lovely, well cared for Jaguar XJS. It has covered 99,000 miles and has only had 4 owners since it was new, back in 1990. It was with the previous owner for just over 12 years where it was well looked after and always garaged kept. It was always well serviced and Mot’d every year, use sparingly on the weekends and sunny days. We have every single MOT dating back to 1993 when it was due its first Mot. It has just under gone so minor restoration work on the rear brakes and suspension of April this year. Being the earlier model before the facelift in 1993, it has the classic “in board” Rear brake set up which works very well. At a cost of £750.00 in parts alone. The interior of the car is excellent in the beautiful light grey. There are a few marks around the body but the car is presentable. She gets admiring looks wherever she goes.